A 3.5” LCD screen displays the entire system status at a glance. Password protected controller settings can be set up either directly on the LCD screen, or by a PC application and transferred to the WDC4 via an SD card. A discrete PLC input card providing 4 solid state relay outputs for belt speed, belt misalignment, bearing temperature and plug indication. Provides the ability to connect 4 additional PT100 Platinum RTD temperature sensors to the control unit. A total of two boards can be installed, providing a total of 8 PT100 inputs. 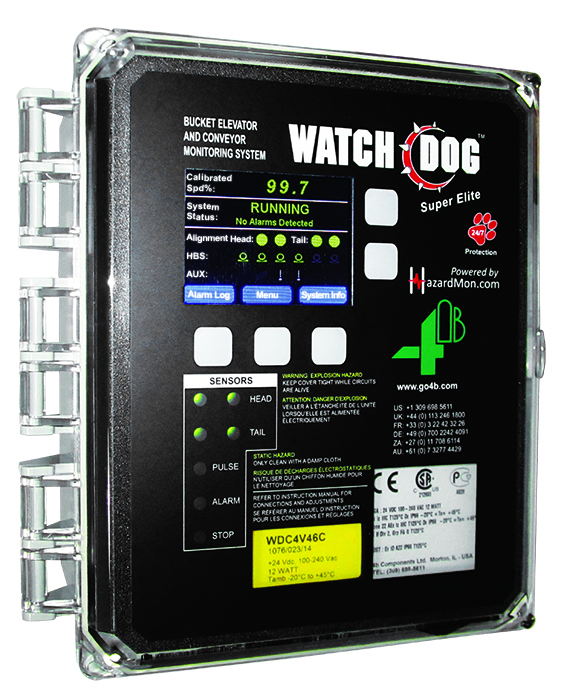 Provides the ability to connect 4 current loop inputs (4-20 mA) and 2 voltage inputs to the Watchdog control unit. Between 1 and 6 sensors can be installed with power and ground connections integrated into the expansion board.